OMP was built from a company that made its mark manufacturing roll bars, but their line of fire systems is considered the highest quality in their class. OMP makes complete fire systems to fit the need of every racecar, from rally to sedan to open cockpit. 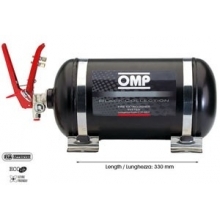 Trust OMP to protect you and your equipment. 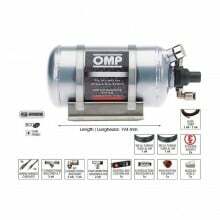 OMP 0.9L Complete Ultralight Fire System. Electronically Controlled For Easy Installation and a worry free system for both the driver and crew. 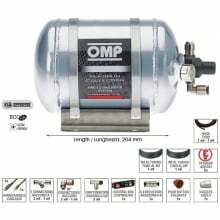 OMP 1.3L Complete Ultralight Fire System. Electronically Controlled For Easy Installation and a worry free system for both the driver and crew.